Migrants break a police cordon rushing towards waiting buses at the train station in the city of Tovarnik, Croatia, close to the Croatian-Serbian border, Sept. 17, 2015. Several former Communist countries met in Prague on Monday to state their opposition to Brussels-imposed quotas over the migrant crisis. The so-called Visegrad Group (V4) of Poland, the Czech Republic, Slovakia and Hungary will underline stark differences in approach when they meet with representatives from Luxembourg, the current holder of the EU presidency. Luxembourg is also the home of Jean-Claude Juncker, the head of the European Commission and architect of the migrant quota plan. As well as repeating their opposition to Mr. Juncker’s idea of compulsory quotas, the Visegrad group demanded the EU make more effort to weed out economic migrants. They also intend to point out that Eastern Europe is neither financially or culturally suited to large migrant influxes. 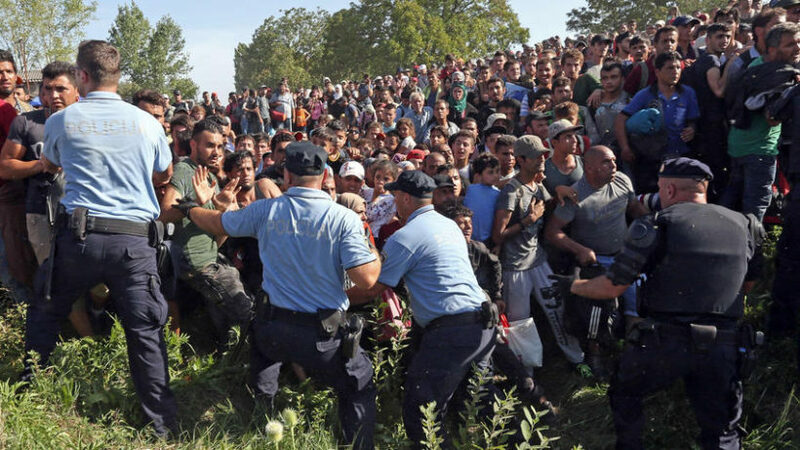 Mr. Schetyna spoke as officials in Hungary and Croatia continued to face huge numbers of migrants attempting to cross their borders in a bid to reach Austria and Germany. In the Austrian town of Nickelsdorf, near the Hungarian border, there were chaotic scenes as 8,000 new arrivals filled up the town square. Local officials said they could not find them accommodation because existing camps used to house migrants were already full. 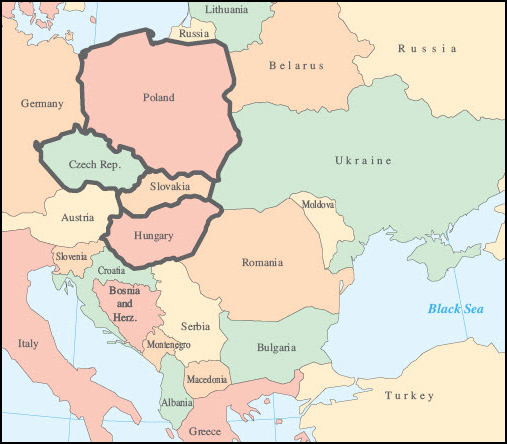 The Visegrad Group, also called the Visegrad Four, or V4 is an alliance of four Central European states – Czech Republic, Hungary, Poland and Slovakia. The Group originated in a summit meeting held in the Hungarian town of Visegrad on February 15, 1991. In the Croatian town of Tovarnik, near the border with Serbia, (see “Resources” below for vide0) officials unexpectedly unveiled a purpose-built refugee holding centre built in less than 24 hours. Monday’s meeting of the Visegrad states comes amid signs that Mr. Juncker’s plan to relocate 120,000 refugees from Italy, Greece and Hungary around the EU is being watered down. A quota formula which dictated how many migrants each state was obliged to take has now been removed, according to a draft resolution seen by the Financial Times. While the 120,000 target still stands, states will be able to volunteer numbers rather than have them imposed by the European Commission. The apparent compromise comes ahead of a meeting of EU heads of government on Wednesday, where elected leaders will be under intense pressure to reach a common approach to the continent’s biggest migration crisis since World War Two. Russia and Israel have agreed to coordinated measures to prevent miscalculations in Syria that could trigger a wider war, visiting Israeli Prime Minister Benjamin Netanyahu said Monday following talks with Russian President Vladimir Putin. Russian President Vladimir Putin (left) meets with Israeli Prime Minister Benjamin Netanyahu in Jerusalem on June 25, 2012. “The importance of preventing a misunderstanding is very great,” said Mr. Netanyahu, who held talks with Mr. Putin at the Russian president’s residence near Moscow. The agreement comes amid concerns about a Russian military buildup in Syria, where a civil war is now deep into its fifth year. U.S. military officials say Russia’s deployment of a small number of fighter aircraft to Syria and its reinforcement of a coastal base indicate that Moscow is preparing to involve Russian forces directly in the war in support of its longtime ally, embattled President Bashar al-Assad. Mr. Netanyahu indicated Monday that Israel would continue acting to interdict [intercept and prevent the movement of] arms deliveries to the Iranian-backed Hezbollah or any Iranian-supported military buildup in the Golan Heights. Russian President Vladimir Putin (left) meets with Israeli Prime Minister Benjamin Netanyahu at the President’s Novo-Ogaryovo residence, outside Moscow, on Monday. Appearing with Mr. Putin, the Israeli leader said it was his country’s policy to prevent any Iranian or Syrian-sponsored transfer of advanced weapons to Hezbollah or any other force seeking to threaten Israel from the Golan. Mr. Putin appeared to differ with the Israeli leader on the prospects for any substantial military threat on Israel’s northeastern frontier. 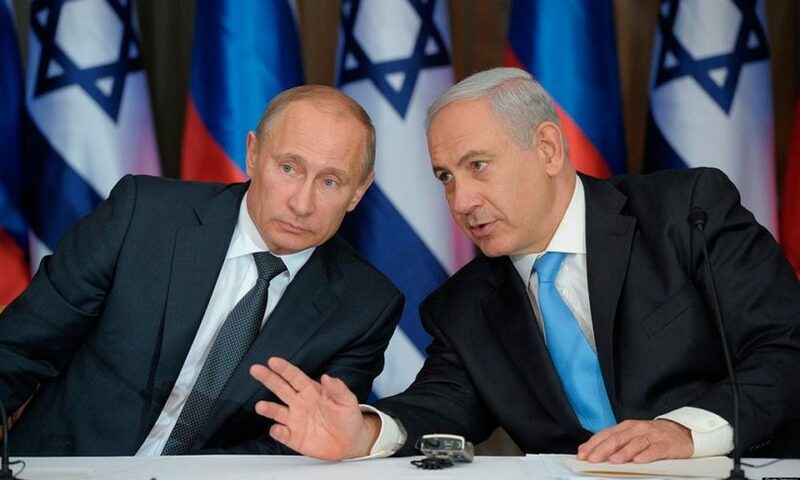 After Mr. Netanyahu asserted that Iran, with the help of the Syrian army, was trying to open a “second terrorist front” against Israel on the frontier with the Israeli-held Golan Heights, Mr. Putin offered a different view. Russia has said its buildup is part of a long-standing delivery of military equipment to Mr. Assad’s forces. It hasn’t officially announced the deployment of combat troops to Syria, saying only that military specialists are present there to support the continuing delivery of military equipment to the Assad regime. But U.S. officials say Russia has expanded a base around an airfield near the Syrian port of Latakia to accommodate up to 2,000 people, along with aircraft and armored vehicles. Relations between Russia and the U.S. have been at a post-Cold War low following Moscow’s intervention last year in Ukraine and the annexation of Crimea. But U.S. Secretary of Defense Ash Carter last week discussed the buildup with Russian Defense Minister Sergey Shoygu to clarify Russia’s involvement, a conversation U.S. officials said was aimed at averting potential confrontation between the U.S. and Russia in Syria. Like the U.S., Israel is concerned about inadvertent confrontations with Russian military forces. The Israeli army’s chief of staff and the country’s chief of military intelligence were also in the Israeli delegation to Russia, the Israeli military confirmed. The Burkina Faso general who seized power in a coup last week apologized to the nation Monday and said he would hand over control to a civilian transitional government after the military warned that its forces would converge on the capital and forcibly disarm the soldiers behind the power grab. The whereabouts of coup leader Gen Gilbert Diendere are unknown. Gen. Gilbert Diendere said his presidential guard unit “confirms our commitment to giving power back to civilian authorities.” That was one of the key conditions of a draft agreement that resulted from weekend negotiations with regional mediators, but it had been unclear until his announcement whether the junta would abide by those terms. 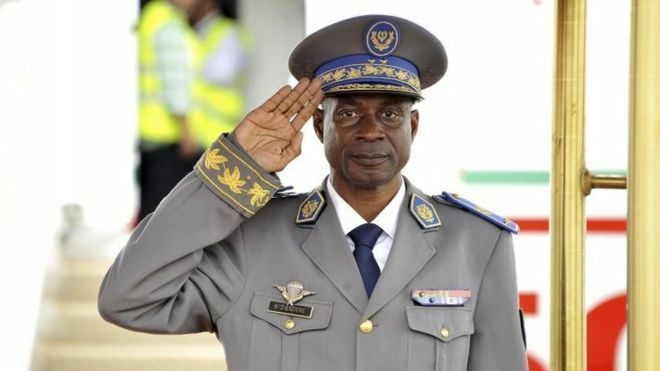 Diendere, who led the presidential guard under longtime leader Blaise Compaore until he was forced from power in a popular uprising last year, said the compromises were necessary to avoid further bloodshed. The risk of clashes could lead to “chaos, civil war and massive human rights violations,” he said. Earlier Monday, the heads of the National Armed Forces warned that troops would disarm the presidential guard. While they said soldiers aimed to do so without spilling blood, the ultimatum raised the specter of clashes on the streets of Ouagadougou. “We demand that they put down their weapons and rejoin Camp Sangoule Lamizana,” the statement said, promising that the returning soldiers and their families would be protected. People gathered at sunset cheering on the highway as they waited for the anticipated entry of Burkina Faso’s regular army, who vowed to disarm the presidential guard known as the RSP. The soldiers who seized power last week are seen as loyal to ex-President Blaise Compaore. Diendere, the general installed as president Thursday, is a former top aide to the ousted leader. Junta members said they were angered that members of Compaore’s former ruling party couldn’t take part in elections that were set for Oct. 11. Compaore was president for 27 years, and his bid to further extend his rule prompted massive street protests that led to his ouster. The mediators led by the presidents of Senegal and Benin announced a plan late Sunday that calls for new elections by the end of November. 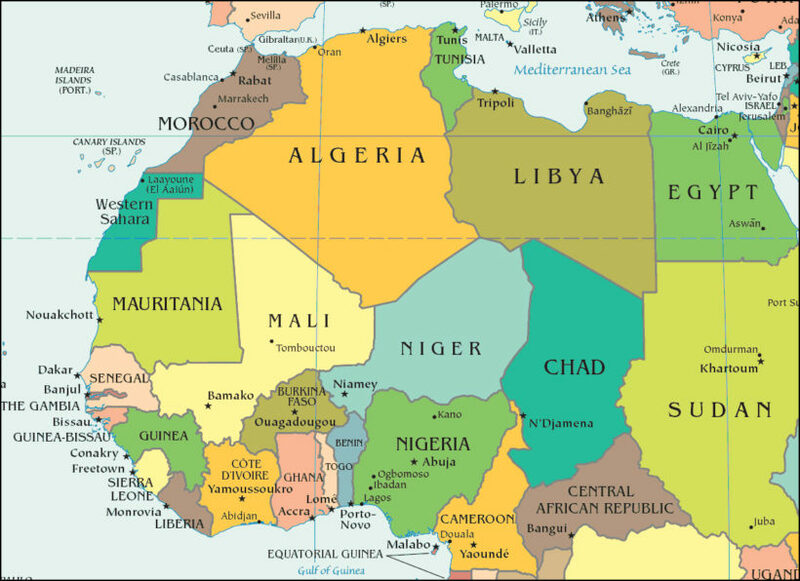 The plan drafted by mediators is supposed to go before the West African regional bloc known as ECOWAS (Economic Community Of West African States) in Nigeria on Tuesday. The streets of Ouagadougou remained tense Monday, and many demonstrators said they felt the ECOWAS compromise plan was too lenient on the junta. France, meanwhile, suspended all military, civilian and financial cooperation with Burkina Faso until civilian authority is restored. French President Francois Hollande announced the suspension in a statement. He also threatened sanctions against anyone who opposes democratic elections, saying he would lobby European partners to do the same. Hollande spoke Monday with Senegalese President Macky Sall about West African regional efforts to restore calm in Burkina Faso, a former French colony that maintains commercial and military ties with France. and the others at the CIA World FactBook website. b) What demand did the V4 make? c) What point do they make about why their countries cannot accept large numbers of Syrian migrants? d) Consider the size and ethnic and religious makeup of these countries, along with the fact that they are not wealthy Western European countries and that they do not have extensive social welfare economies. Do you think they should still be required to accept migrants they are not equipped to accommodate because they are members of the EU, or should EU countries still have autonomy about the refugees they accept from non-EU countries? Explain your answer. 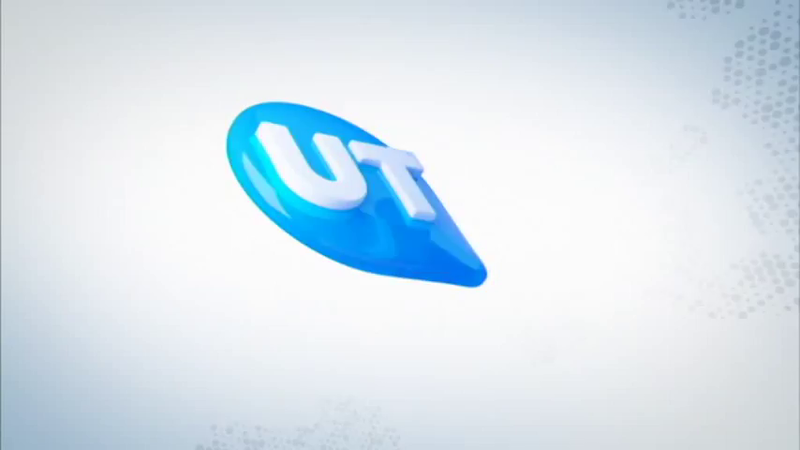 b) What was Israeli Prime Minister Benjamin Netanyahu’s purpose/motive for meeting with Russian President Putin? c) What is Russia doing that makes this agreement necessary? d) What does Israel do that makes this agreement necessary? b) Why did the coup leader agree to step down? Coup leader Gen. Gilbert Diendere said the compromises were necessary to avoid further bloodshed. The risk of clashes could lead to “chaos, civil war and massive human rights violations,” he said. c) What relationship does Burkina Faso have with France? Prime Minister Netanyahu said that Israel’s declared position is to prevent the transfer of advanced weapons to Hezbollah and also prevent a new front on the Golan. “For these reasons I thought it was very important to come here, both in order to make clear our positions, and also to ensure that there will not be any misunderstandings between our forces,” Netanyahu said. Putin, in response, said that Russia’s actions in the region are “always very responsible.” He said that he is aware that Israel has been fired upon from Syria, and has condemned that, but added that those weapons were locally produced. With that, he said that he understood Israel’s concerns. 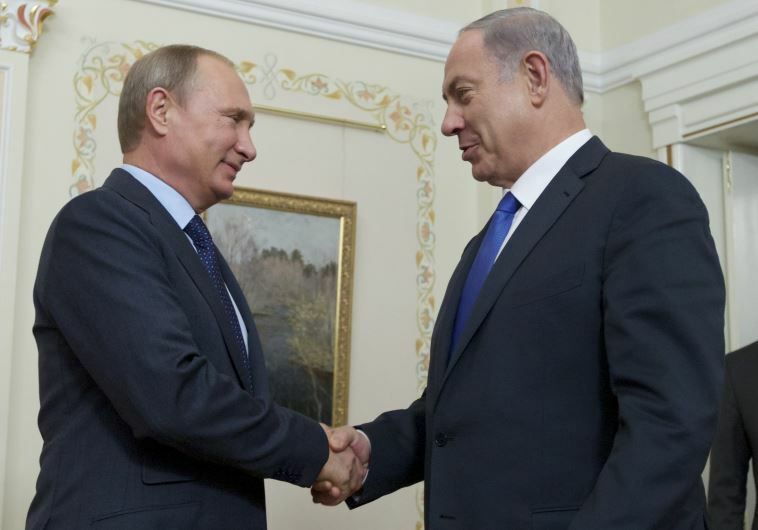 The Russian president said that he never forgets that there are a “great many” immigrants from the former Soviet Union living in Israel, and that this is something that has special significance for Israeli-Russian relations. The migrant crisis in Europe: Watch a video from Sept 20: Thousands of migrants try to get on train leaving Croatian boarder town and heading west.